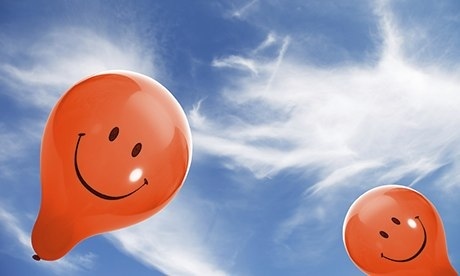 It's normal to feel stressed, but there are easy ways to make yourself happier. Young people should have everything to be happy about, but as the generation with the least responsibility we actually experience the most stress. A 2013 survey by the Nightline Association found that 65% of students feel stressed. Steinhoff, N. (2013) Students: 10 ways to beat stress. Available at: http://www.theguardian.com/education/mortarboard/2013/nov/06/students-ten-ways-to-beat-stress (Accessed: 7 November 2013). The Guardian (2013) Nane Steinhoff. Available at: http://www.theguardian.com/profile/nane-steinhoff (Accessed: 8 December 2013). Youth Sight (2013) Depressed, anxious, lonely, and homesick: study reveals darker side to student life. Available at: http://www.youthsight.com/media-centre/press/depressed-anxious-lonely-and-homesick-study-reveals-darker-side-to-student-life (Accessed: 8 December 2013).